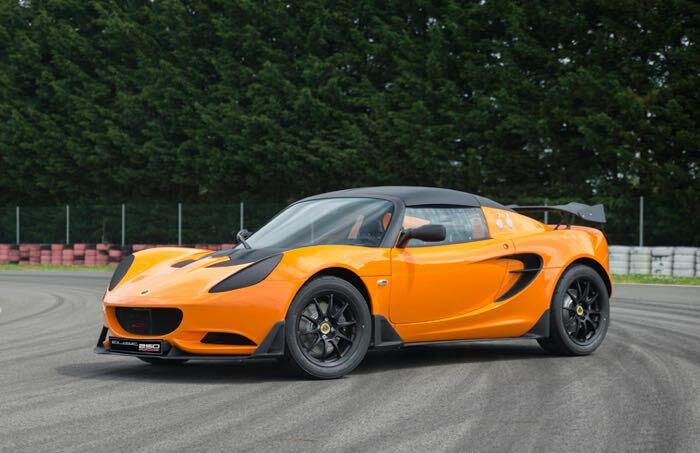 Lotus have announced their latest Elise which is designed for the track, the Lotus Elise Race 250 and it will cost £44,583 in the UK and $76,200 in the US. The Lotus Elise Race 250 comes with a 6 speed manual transmission and it has 243 horsepower and 250 Nm of torque. Delivering a level of ability you’d expect from one of the world’s most famous racing marques, every aspect of the Lotus Elise Race 250 has been optimised to help slash lap times. This covers track-oriented features including Nitron adjustable dampers, uprated brake pads, FIA approved carbon fibre race seat with six-point racing harness, a removable steering wheel and a polycarbonate rear windscreen. The car comes with a top speed of 154 miles per hour and it features an FIA compliant front roll-cage section, fire extinguisher, battery isolator and front and rear towing eyes. You can find out more details about the new Lotus Elise Race 250 over at Lotus at the link below.